One of our goals at Weimer Construction is to effectively communicate our vision to our clients while also understanding our clients’ visions as well. We have the ability to use 2D or 3D design to illustrate the project’s functional and aesthetic goals prioritized by the design team. 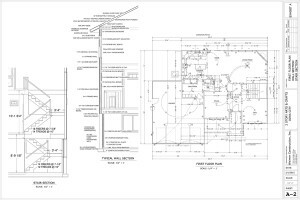 This provides documentation to build effectively and allows our clients the opportunity to visualize the final product before any dirt is moved or building materials are purchased. We believe that your home is a reflection of you and that designing your home is a personal experience. Therefore, we welcome as much of our clients’ involvement in the design process as they like. We take the time to sit down and understand how you live, work, and play in your home. We use that to guide us in developing a personalized layout that fits your lifestyle. Our clients are welcome to select all the final finishes themselves or they can allow our team the freedom to craft material pairings that meet your desired home style. As we work through the design process we not only consider your current needs but also any future needs as well. Our team is knowledgeable in adapting homes with many ADA and mobility benefits allowing you to age gracefully and spend more years in your home. We know having a home personalized just for your family’s lifestyle is often a once-in-a-lifetime experience and we believe it should be a positive one. There are many benefits to working with a team providing both personalized design and home building services. We are all working toward the same goal while aligning cost effective construction with your home preferences, lifestyle, and budget. 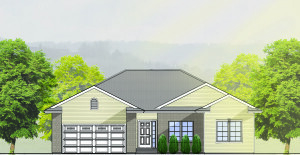 If you have ever dreamed of having a home personally built for your family you may find it easier than you think. Don’t hesitate to get into the home you have always dreamed of. Schedule a no-obligation consultation to see how easy designing your own home can be, or just send us a question. We are here to help you through the process.